Entrepreneur Paul Naron as pictured in this Oct. 19. 2016, file photo. 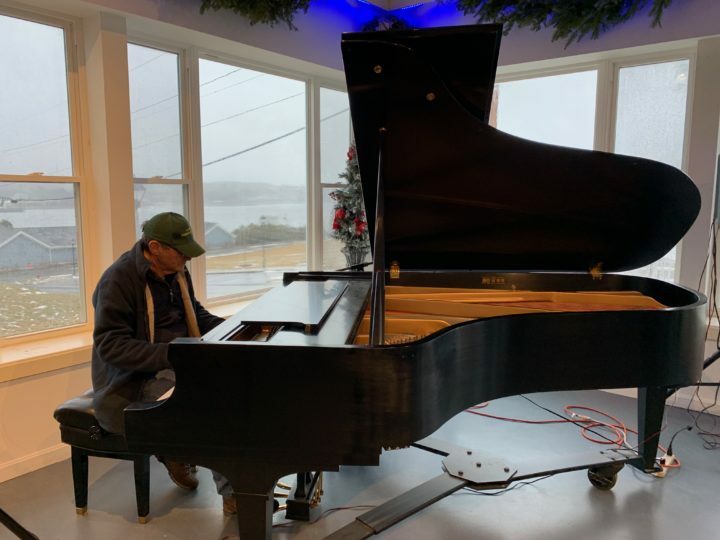 BELFAST, Maine — Paul Naron, 69, a businessman who moved to Belfast from Florida about 10 years ago, is not a typical retiree. He’s not even a typical developer. But his development projects have been changing the Belfast waterfront. And in a moment when it seems that just about any proposed development in Belfast quickly becomes a lightning rod for opposition and controversy, his projects have caused anticipation rather than a ruckus. Naron, who is best known for opening the United Farmers Market of Maine in a former window manufacturing showroom on Spring Street, is onto something new. His latest project is renovating the former French & Webb boatbuilder’s workshop and a 1-acre lot, which he purchased in June, and the more ramshackle former Consumer’s Fuel garage next door, which he bought in 2017. His ideas for the two buildings are big and include the possibilities of tripling the size of the marina. 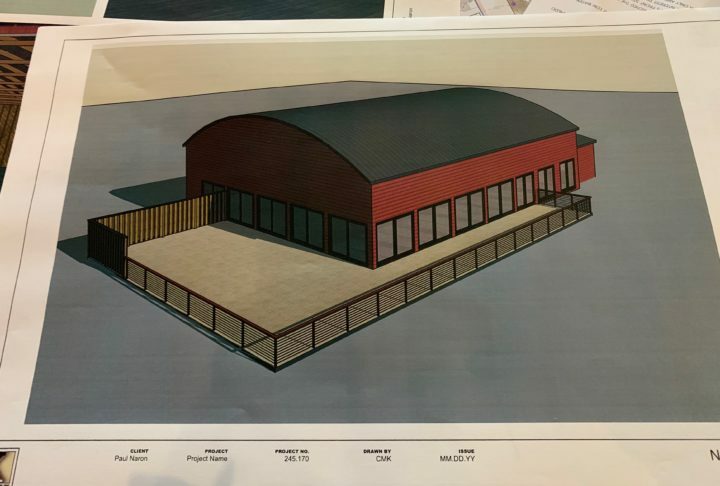 Naron also wants to add a yacht club and a restaurant hopes will be a comfortable gathering place that emphasizes conversation and community. He might even add a hotel. One of the drawings for the renovation of the former Consumers Fuel building, purchased last year by Belfast businessman and developer Paul Naron. Naron would rather not commit to a precise plan, saying that he has achieved development success because he’s been flexible, not rigid, in his thinking. He knows he does not want the structures to look greatly different than they do now or have an expanded footprint. And he said that profit is not his ultimate goal — making a better Belfast is. Naron’s development plans are moving through the city’s permitting process and earlier this month were approved by the Belfast Intown Design Review Committee. The Belfast Planning Board is scheduled to review his application Jan. 9 and then make recommendations to the Belfast City Council, which will need to give the plan final approval. He does have a positive track record so far with turning his visions into reality, according to Belfast officials. 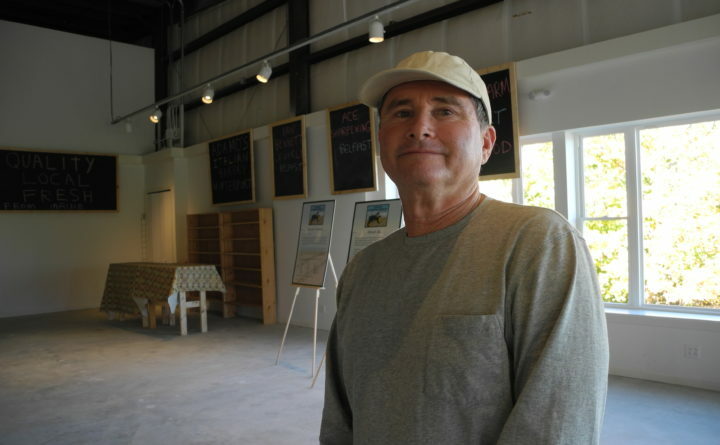 In the spring of 2017, he opened his Saturday-only farmers market in the former Mathews Bros. window showroom with dreams of making it a destination for visitors and locals that would remain vibrant even during the long Maine winters. Developer and businessman Paul Naron has a vision for the Belfast waterfront that emphasizes community over profit. It sounded ambitious, but that’s what happened, and the Saturday markets are still easily bringing in 1,000-2,000 people, Naron said. Now, he is turning his attention to two other buildings he has purchased on the waterfront, both located just a block or so from the farmers market building. Councilor Eric Sanders said he has not seen Naron’s plan yet and cannot comment on the specifics. He was happy to talk about his own experience with the developer, saying that he first met Naron a couple of summers ago when Sanders was performing in an outdoors summer musical with the Belfast Maskers theater group. According to the plans, the existing marina near the former garage at 15 Front St. would be tripled in size, and the popular Harbor Walk pedestrian trail would continue to run through the properties. The United Farmers Market of Maine eventually may move from its current Spring Street location to the former French & Webb building at 7 Front St. But that move won’t happen until the new building is renovated to create a large space with windows that overlook the harbor. “You have to have a place to break bread together,” Naron said. According to Sadie Lloyd, a planner with the City of Belfast, there has not yet been significant public comment on Naron’s plans. A few neighbors have indicated they are concerned about the view or parking, but the buildings are not changing in height, she said, adding that Naron’s portion of the waterfront will remain accessible to the public. Zach Schmesser of Our Town Belfast said that the development certainly could be an asset to the city. “Paul Naron’s projects on the waterfront have the potential to be a great extension or addition to our existing downtown,” he said.